← Why isn’t God’s Existence more Obvious? At school I memorised a few poems hoping that I could somehow bluff my literature teachers into thinking I was well-read. While I fooled no-one, the effort was worthwhile for it introduced me to gems like W.H. Auden’s Song of the Devil . 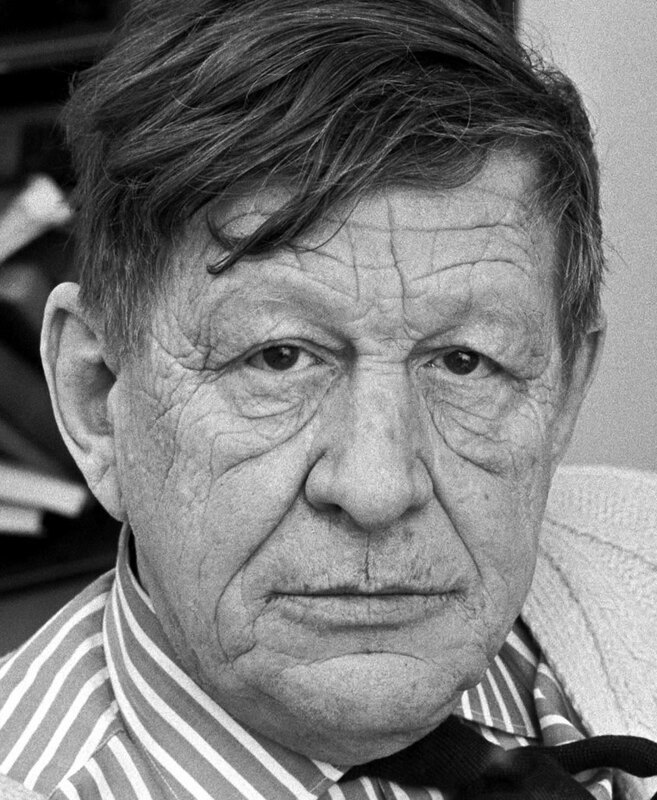 Auden’s Lucifer laments the rise of secularism, which has taken the joy out of his work. For example, temptation no longer presents a challenge now that psychology has replaced theology. When a tender conscience is apt to surrender, the devil merely whispers “you’re sick”. Moral qualms disappear with objective morality; what are “shouldn’ts or shoulds” if humans are merely matter in motion? The devil can no longer bear working with empty-headed, soulless, selfish atheists. So one wonders how he would cope with the tedium of New Atheist movements. Richard Dawkins, for example, argues that the truth of Christianity is no more likely than the existence of a Flying Spaghetti Monster. 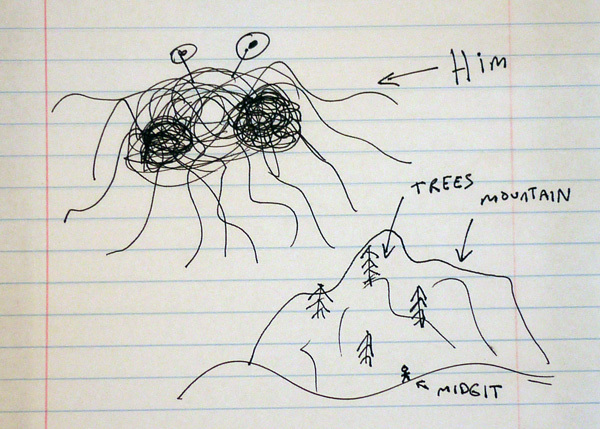 The “FSM” is the parody god of a parody religion – Pastafarianism. Pastafarians mimic and mock the behaviour of the religious by caricaturing Christian ritual and liturgy. They wear colanders on their head as distinctive religious garb or bang wooden spoons to begin their mock services. 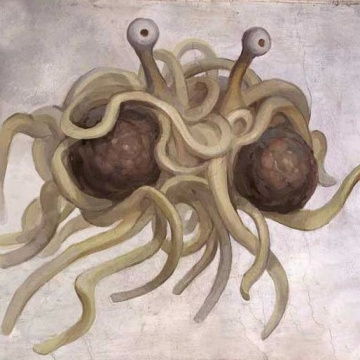 The short attention span of the average undergraduate has turned the Flying Spaghetti Monster into a successful meme; but the implied critique of theism is hopeless. There are several problems. First, Pastafarians argue that “faith” is essentially blind: therefore, you might as well have faith in an invisible, intangible being made of pasta as have faith in God. As the FSM’s home page argues faith is all about wishful thinking. For many religions, acceptance is due to the time it has been around and due to the number of people who already follow it. For potential followers it’s often less a consideration of evidence, and more a judgement that the collective group of followers is better informed. The problem is that Christianity does not depend on blind faith. Philosophers from Anselm and Aquinas to Plantinga and Swinburne have presented robust arguments for the Christian faith. The New Atheist is welcome to disagree with centuries of Christian scholarship; but only a blind, prejudiced dogmatism could pretend that it does not exist! The second problem is that Pastafarians are painfully ignorant of the latest scientific research into the transmission of religious beliefs. Cognitive scientists have argued that “minimum counter-intuitiveness” is essential for the transmission of religious ideas. Ideas that are slightly outside the norm – that are slightly counter-intuitive – tend to be transmitted by humans because they seem interesting. But there is a substantial body of research that shows that bizarre and trivial ideas are rapidly dismissed, and therefore cannot ground religious belief. The idea needs to be eye-catching enough to warrant attention, but not so far-fetched that it can be immediately discounted. We don’t like films that simply recount a day in the life of an average person; but we don’t often watch films that are just a chaos of randomly connected scenes. So a new religious movement based on a transcendent creator will be more successful than a religion which teaches that humans are the reincarnations of the alien beings who died in a trans-galactic rebellion aeons ago. The latter is just too strange an idea to merit consideration. However, the idea that an agent is behind the order and seeming purposefulness of the world does seem plausible. We regularly observe and have direct experience of the power of agency. Indeed, the fact that theism has survived and thrived in multiple cultures over two millennia suggests that it is very plausible. Third, the parody presupposes that theism is meaningless, or that theism lacks explanatory power. Is the concept of God meaningless word play? Hardly. It is a coherent concept with explanatory power. God can be described as limitless, loving, personal power (what the Bible calls “holiness”). “Personal power” is simply the power to choose; something that we readily experience. God is such “personal power” without limits. Our choices are limited by our bodies and the nature of the universe that we dwell in. If God exists he would have limitless power because he would not be confined by a body, or by time or space. The power to choose depends on knowing our options; so limitless power needs perfect knowledge. God would know everything that he was capable of doing; and he would know everything that he has created and is currently sustaining. So this accounts for God’s omniscience. God is loving, personal power” because love requires freedom, and because God is the source of all value and goodness in our universe. Now that’s a simple, rich description of God. So theism isn’t complicated, and is also quite meaningful. Better yet, theism is able to explain a great deal about our universe and our lives. It accounts for the order which we see in our universe. It explains why the universe has conscious, living, knowing beings. Theism explains why good and evil are as real and as important as electromagnetism or gravity. Theism explains why human lives crave purpose and meaning. FSMs don’t really compare. It is also crucial to realise that evidence can count against theism. If there is a God worthy of worship, why does he allow suffering? Why is the living world so wasteful – what was the point of making those marvellous dinosaurs, just to wipe them out? Why is it not clear which religion provides the best way of approaching God? Now theists have different responses to this counter-evidence. But what is important to note is that it is counter-evidence. Whereas meaningless and trivial stories (say, invisible, intangible beings made of pasta haunt the cosmos) are so disconnected from the real world that it isn’t only impossible to provide evidence for them. It is impossible to provide evidence against them. … is not supposed to be an argument against God or gods or whatever – it was conceived as an argument (and a highly effective one at that) against religious privilege. 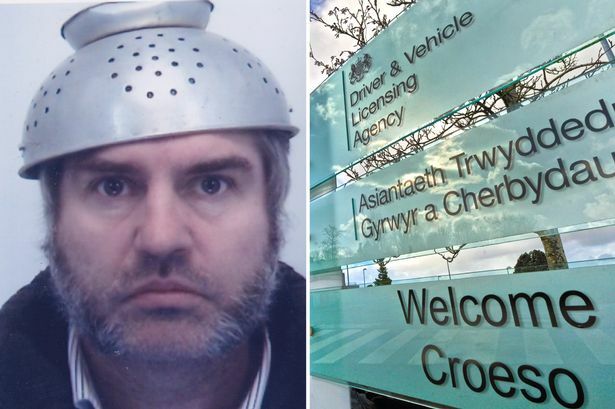 If you’re allowed state protection for wearing a crucifix or a niqab or whatever, you can’t argue that someone else doesn’t have the right to wear a collander [sic] on their head if they claim it is part of a deeply-held religious conviction. Yes, it is silly. It is supposed to be. But is it an argument against God? No. By any rational metric, Pastafarians are as legitimate a religious group as any. Arguably more so, since we’re honest and rational….Nonbelievers get hung up asking for evidence when really we should be looking at why does religion thrive despite evidence? So the Flying Spaghetti Monster is meant to parody religious truth claims. It is only recently that sceptics have started to use the FSM to satirise religious “privilege”. But Pastafarianism is a poor argument against religious toleration. There is a weight to religion that Pastafarians do not seem to comprehend. The anthropologist Clifford Geertz described religion as (1) a system of symbols which acts to (2) establish powerful, pervasive, and long-lasting moods and motivations by (3) formulating conceptions of a general order of existence and (4) clothing these conceptions with such an aura of factuality that the moods and motivations seem uniquely realistic. And it sees fairly clear that the moods and motivations generated by Pastafarianism do are not due to an “aura of factuality”. Or consider Ninian Smart’s scheme for studying religion, which draws attention to its seven dimensions- the experiential, the narrative, the doctrinal, the material, and the practical, the social and the ethical. Metaphor, symbolism and analogy play an important part in religious doctrines and narratives: but some truths must be taken literally if a religion is to have any effect on behaviour. And it should be obvious that religion profoundly affects a person’s moral convictions and social identity. Religion creates martyrs; Pastafarianism creates puns. Religion has such a command over a person’s behaviour and inner life that we should provide everyone with the freedom to manifest a distinct identity. In the interests of liberty, we allow believers to convey their convictions to the wider world. Religions do not merely use words, but also traditions, symbols and signs to communicate. These distinctive practices are rich with narrative, doctrinal and historical significance.We impoverish our culture and reduce our freedom to be different when we naively mock “religious privileges”. 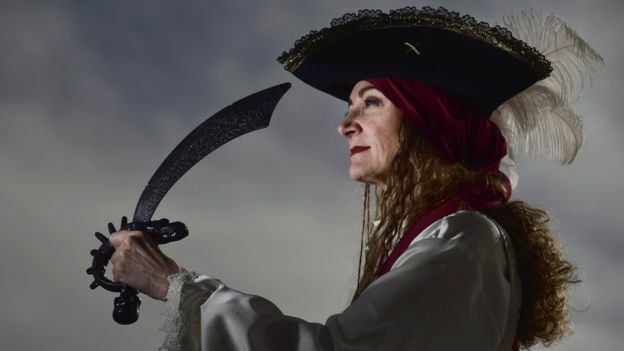 The real problem is that many “Pastafarians” left the Christian faith in their late teens or early twenties, so they tend to have a teenager’s understanding of the Christian faith. Like New Atheism, it is an anti-intellectual movement with no deep interest in philosophy, theology or religious studies in general. Sometimes I think I’m meant to be offended by their Spaghetti Monster, but I can’t quite work up the energy. I really don’t mind how many posters they display in public places because they don’t fully comprehend the beliefs that they are rejecting. Their satire, like most of popular secularism, is brainless and heartless; it does not cut me emotionally or intellectually. So let each while you may think you’re more O.K. /More yourself than anyone else/ Till you find that you’re hooked, your goose is cooked /And you’re only a cipher of Hell’s. This entry was posted in Existence of God, Quick Thoughts, Science and Christianity and tagged Flying Spaghetti Monster, FSM, God and Science. Bookmark the permalink.